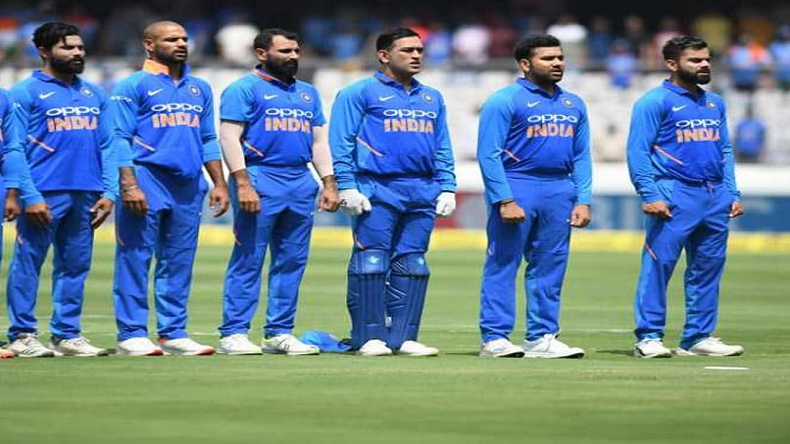 ICC World Cup 2019: BCCI secretary Amitabh Choudhary and senior selector MSK Prasad will announce the Team India for upcoming Cricket World Cup 2019. The BCCI officials will announce 15 names who will be heading to England and Wales to represent India in the 50-over cricket World Cup starting from May 30. ICC World Cup 2019: The Board of Control for Cricket in India (BCCI) is set to announce the 15-member squad for World Cup 2019. The extravaganza will be held in England and Wales from May 30 and the finals will be played on July 14, 2019. This will be the biggest challenge for Virat Kohli as a captain as he will be leading the men in blue for the first time in the 50-over World Cup. Although he has the experience of playing the World Cup as a batsman, this time he is the captain and has extra responsibilities on his shoulders with the hopes of 1.3 billion Indian fans to win another World Cup. Today, at around 3:30 pm, BCCI secretary Amitabh Choudhary and senior selector MSK Prasad will address a press conference in Mumbai and announce the names of the 15. Out of 15 spots, 11 are almost reserved for the regular members which include Rohit Sharma, Shikhar Dhawan, Virat Kohli, MS Dhoni, Kedar Jadhav, Hardik Pandya, Bhuvneshwar Kumar, Yuzvendra Chahal, Kuldeep Yadav, Mohammed Shami and Jasprit Bumrah. The names of Ajinkya Rahane, Dinesh Karthik, Prithvi Shaw, Ambati Rayudu, Umesh Yadav, KL Rahul, Vijay Shankar, Ravindra Jadeja and Khalil Ahmed are doing the rounds for the remaining places. The selectors also have been monitoring the rest of the players for the important tournament. Selectors have been looking for players to fill the number 4 spot in the batting line-up, a reserve wicketkeeper and an extra all-rounder. The reports say skipper Virat Kohli personally wants explosive batsman Rishabh Pant and all-rounder Ravindra Jadeja in his team. KL Rahul: The Kings XI Punjab opener has been impressing everyone with his strong technique and power hitting abilities. He does not have a lot of ODI experience but his centuries in Tests against Australia and England put him ahead in the race. Rishabh Pant: The Delhi wicket-keeper batsman comes second in the list, he has the ability to hit the ball hard and he might be the ace in the hole for captain Kohli. The youngster has shown his skills at the Test level but has not sparkled in ODIs and T20s so far. For the position of the reserved wicketkeeper, Pant will have a direct competition with Dinesh Karthik. Dinesh Karthik: The wicket-keeper batsman who has a lot of experience under his belt is also looking for a World Cup ticket. He was the man who turned the table for India in the Nidhas trophy finals and helped the men in blue lift the trophy. But after that, he has been inconsistent in ODI cricket. Ajinkya Rahane: The captain of the Rajasthan Royals is known for his strong technique and batting skills and will be betting for the number 4 batsman. He has a good batting average and can even open the innings in case Rohit Sharma or Shikhar Dhawan is rested in any game. Ambati Rayudu: The right-handed batsman, who plays for Chennai Super Kings (CSK), has been in great form and can turn out to be a strong batsman in the middle-order for Team India. Even Windies all-rounder Dwayne Bravo, a few days ago, had said he is the best player for number 4 spot in any side.